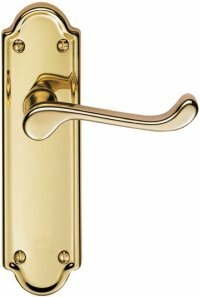 Premium quality Ashtead door handles produced in solid brass, supplied in pairs with follower bar and fixings. 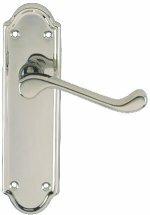 Door handle size 168 x 47mm, and short lever latch 112 x 47mm. Available in Polished Brass & Polished Chrome. 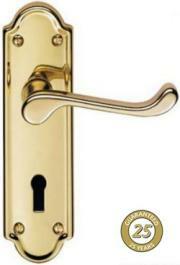 Picture shows the Long Lever Latch 168mm Handle.